Veracocha is the alias used for the trance music collaboration between Dutch producers Vincent de Moor and Ferry Corsten, both of whom have had solo success under their own names, and using various other pseudonyms. 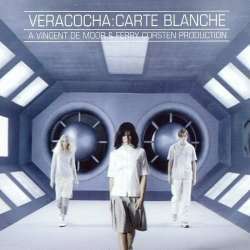 The only track issued under the Veracocha alias was "Carte Blanche", which was released on the Positiva label in 1999, and reached number 22 in the UK Singles Chart. The song has since been remixed and re-released on many occasions. A bonus track entitled "Drafting" was on the European CD release. Get ready for this classic! Fun fact: Veracocha was a collaboration between @FerryCorsten and Vincent de Moor back in 1999? Carte Blanche was released almost 15 years ago!